Over two years ago I started hearing about a company called E-Metrotel that was based in Texas and was working on an IP based Unified Communications solution that could interoperate with SIP phones from manufacturers such as Aastra, Avaya, Cisco and Polycom among many others. Supporting multiple SIP handsets wasn’t revolutionary in the least so why the excitement? E-Metrotel claimed they could support legacy Avaya (formerly Nortel) UNIStim IP phones as well as legacy Norstar digital phones. That statement quickly grabbed my attention knowing that the Norstar is probably the widest deployed small office key system in the United States. 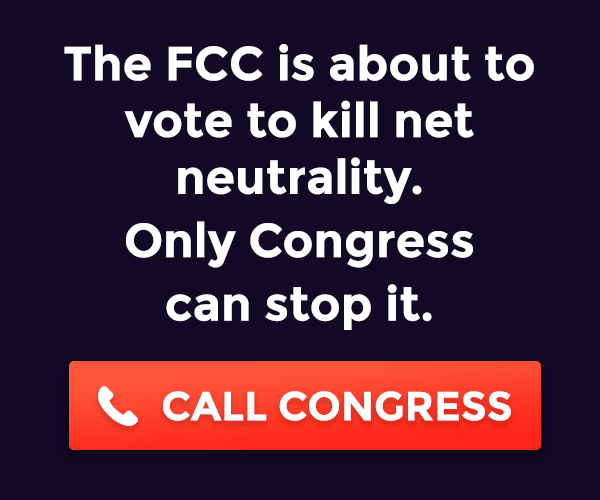 I actually still support 5 Norstars in my network because we haven’t found a cost effective replacement for them and in short they just plain work. 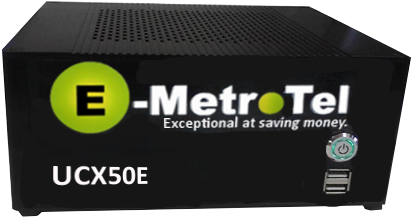 I was able to open dialog with Jay and Chris from E-Metrotel who graciously sent me an evaluation UCx50 unit for testing. The configuration of the UCx50 was fairly simple and straight forward. It comes out of the box with a default IP address which you can connect to and quickly reconfigure to match your IP addressing scheme. I was quickly able to configure and add 2 SIP extensions for which I used 2 Avaya 1220 IP phones which were running SIP firmware. With that success under my belt I proceeded to attach 2 Avaya i2002 IP phones which were running UNIStim. When configuring the extensions for the UNIStim handsets I selected “Generic Nortel Device” and provided the MAC address of each IP phone. With that all done I quickly had all 4 IP phones working and was placing calls between them without issue so I decided to push the envelope. I setup a digital gateway using the hardware from an BCM/SRG along with a IDE flash drive provided by E-Metrotel. This required me to physically remove the internal hard drive from the BCM/SRG hardware and replace it with an IDE flash drive which was pre-loaded with software by E-Metrotel. As with the UCX-50 itself it was pretty simple to configure the digital gateway and get it up and running. I did spend some time trying to figure out how the digital gateway mapped the 25 pair block I had the Norstar digital phones connected to. Eventually I had calls flowing between the 2 Norstar M7310 phones and ultimately between all the digital and IP phones. There are a number of models available depending on the number of IP phones you are looking to support. The introduction of the UCx2000 is more for service providers looking to support multiple customers on a single piece of hardware. The UCx50 is based on CentOS Linux 5.9 running Asterisk v1.8 along with FreePBX. The UCX-50 even supports Shared Call Appearances (SCA) which has been a challenge for sometime with Asterisk based solutions. Unfortunately I didn’t have the time to test that feature. Q. Why did you chose Asterisk? A. We choose Asterisk because it was deemed a mature and robust software structure, it has 95%+ of the features that businesses are looking for and it has thousands of customer installations across every industry segment. Also it already has a vibrant eco-system of active sales/service companies, of contributing code developer/bug fixers and a large and growing number of application/solution providers for almost any business requirement. Q. Does E-MetroTel contribute back to the Asterisk codebase? A. Yes, in the past we contributed fixes back to the Asterisk project. Our product is currently based on the Asterisk version 1.8, which is a LTS release in the maintenance mode – due to that, only important security fixes are accepted for the 1.8 stream. We are looking into switching to Asterisk 11 in the near future. Once we complete this task, we’ll have several enhancements that we are planning to contribute to the Asterisk 11/12 stream. Q. It appears that E-MetroTel is using Elastix/FreePBX for the GUI? A. Yes. One of the best values in going with an open source platform is that you abandon the NIH mentality and you have a wide variety of options to choose from when you are looking for a particular feature or option. For our management GUI we choose the Elastix/FreePBX as a core starting framework. Q. Does E-Metrotel contribute back to the Elastix / FreePBX codebase? A. Our product is currently based on the FreePBX version 2.8 (the same version that is used by Elastix). This FreePBX version is no longer maintained by the open source community – hence no changes can be contributed. We have the change to a newer version of FreePBX on our roadmap. We should be in a position to contribute to the FreePBX open source project once we complete the transition to the latest FreePBX version. We have been contributing fixes to the Elastix open source project. Q. How is the product licensed beyond the purchase of the base unit? A. We license in a per extension basis. Extensions can be purchased in blocks of 1, 5, 20 and 50. Q. How can users find a reseller? A. By directing such a query to E-MetroTel via our web form, via email (info@emetrotel.com) or calling us at 214-556-5917 . Q. Have you tested your solution with any SIP based providers? Verizon, XO, AT&T, Nextiva? A. At this time, we have seven SIP trunk providers listed in our GUI pull-down menu with VoIP providers. We typically add a new provider to this list whenever we determine that a larger number of customers uses or is planning to use a provider that we haven’t included yet (we register an account with that provider, perform validation testing to determine the proper configuration and then add the provider to the list). Q. Any recommended SIP providers? A. We like voip.ms for their QOS and pricing model. Q. Is there any remote support built into the product? A. Yes. We provide a built-in VPN and we host a service out of our Plano office which our partners can use to get secure remote access for monitoring and provisioning services. It’s a free service for our gold level partners. One of the great thing about having such a network-centric product is the ability to leverage all the internet-based desktop sharing apps, or our remote support built-in VPN, for remote troubleshooting and support. All of our products come with 1-year support and warranty included. If you are a legacy Nortel customer then the UCx solution could potentially help you migrate to an IP based solution while maintaining your older digital phones or legacy UNIStim IP phones. When upgrading from a legacy key system a large portion of the cost is handsets so this solution could potentially save businesses a lot of money. More importantly it provides the ability to migrate overtime to an all IP solution without the need to forklift the entire telephony environment overnight. If you are at all interested I would suggest you hit up the folks at @E_Metrotel for more information. Which branch office VPN solution? I believe your comment was meant for Justin’s blog… although I’ll readily admit that my grammar is just as bad. Welcome to the blogging world! Keep up the writing! voip-info suggested standalon unistim server, http://www.mlkj.net/UNISTIM/ , or chan_unistim ? Yes, but they’ve taken the guess work out of having to assemble Asterisk with chan_unistim enabled/compiled. You can certainly run Asterisk with the chan_unistim driver. As you can see, the chan_unistim module is not enabled. UCx supports all Nortel UNISTIM IP phones (including 2033, 1150, 1165 and so on). Maybe try one of those phones with chan_unistim. UCx supports all IP KEMs (chan_unistim does not support any one of them). UCx supports all Nortel M7000/T7000 series digital phones. UCx supports multiple extension keys, Norstar/BCM feature codes, a number of advanced features. There is no question that you can use Asterisk with the chan_unistim driver. If you’re a hobbyist who just wants to experiment with one or two old 2000 series phones, that’s just fine. My personal opinion is that the UCx solution is somewhere else. 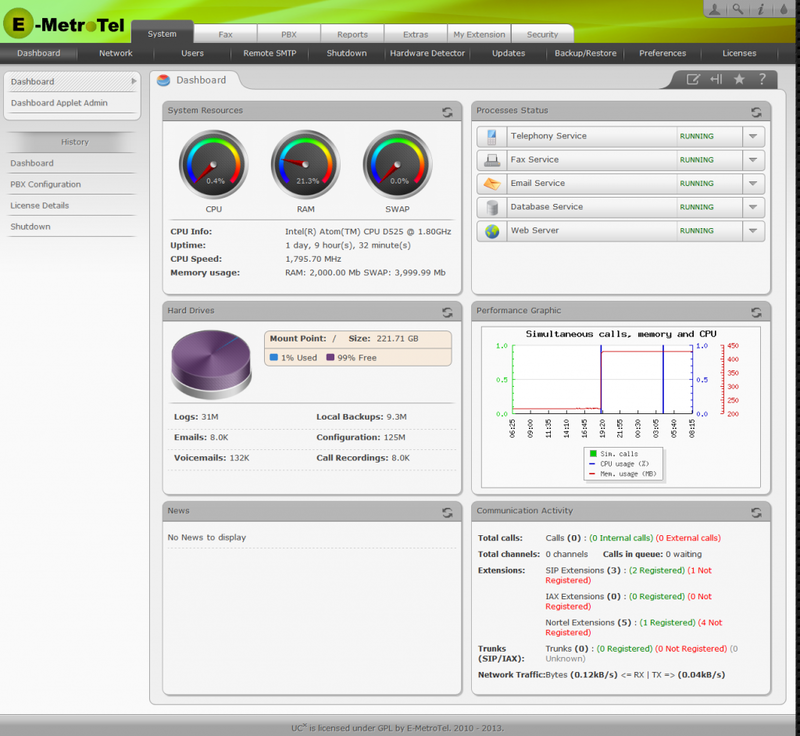 E-MetroTel has taken the guess work out of how to run the phones with Unistim. Many features that aren’t available on the standard chan_unistim driver have been developed on the UCx. Unistim phones on the UCx display the self labeling keys identical to a Nortel phone, call buzz for a second call is now available, and soon a very familiar voice mail voice will be on the phones as well. Unlike plain Asterisk, the key selling point of this system is that you can use Nortel digital M7xxx and T7xxx phones on this system via a digital gateway. Soon you’ll also be able to use the M2xxx and M39xx sets on this system as well. IP Phones on the UCx System either can mimic a BCM with a one feature key on the IP Phone or it can mimic a large CS1000/CS2100 with 4 standard softkeys on the bottom of the IP phone screen. Nortel feature codes from the BCM/Norstar are built into the system as well, something not available on straight Asterisk. I have 3 systems setup at home, a BCM50, IP Office 8.1 and UCx50. So far I like the UCx best for ease of setup and for being so versatile with the type of phones I can use. Love the blog Mike. I was similarly impressed when i first encountered this amazing product from eMetrotel. I couldn’t resist partnering with them :) It’s clearly the best upgrade path to continuing Nortel’s ‘Ever-Green’ philosophy. I have upgraded a few clients so far, and they are very impressed at how robust it is. Not to mention the host of features it has, as well as the freedom of being ‘non-proprietary’ with a wide selection of phones. The UCx line of products has the best cost offered, compared to the other ‘price-hogs’ in the market. E-Metrotel is a God send…. Thanks for the comment Dudley. What size organizations do you see E-Metrotel serving? I can see the value in the small office and key system space, just not sure that I see them (or more so Asterisk) in the Enterprise space with 1000+ lines. Just curious about your experiences and the installation sizes. My installation sizes vary from 40 to 300 users so far. They have larger servers that do 1000+ users in addition to call center type deployment. The best thing about it is that my current Nortel Norstar/BCM clients love the switch, as they get much more functionality for less than what would be available the Avaya IP Office product. No restrictions in terms of licensing or whether your users have vmail of not. Each license gives every user everything ;) Just up to the administrator whether they need it or not. Been reselling these for the last two years here in Jamaica and it is slowly bridging the gap for decision makers who are upgrading or acquiring new systems. By far the best solution for a whole lot less. Currently deploying a hospitality setup for a resort. This will be my second and i can tell you, its a breeze to do. Let me know any other info i can help you with. The UCx1000 currently supports 1000 extensions (500 concurrent calls). We currently have customers deploying multiple UCx systems in a network configuration (many of which are in a survivable or network redundant array). With the flexible dial-plan options and native IP trunking, LAN/WAN distribution of the system for flexibility and/or growth makes it easy to grow any deployment. Of course single-site deployments in the 10’s of thousands of users is currently not a target customer of E-MetroTel. This solution is being operated as a call center solution in a number of large customers such as government, tv stations, banks, credit unions, and an auto parts company to name a few. This product has been hardened up, it’s not your base Asterisk system. There is tight integration with Nortel features and functions, which either mimic BCM or Meridian1/CS1000. The UCx1000 supports up to 1000 users. The UCx2000 supports more than 2000 users on a single platform. I hear that they are working on an integrated solution for the Meridian Digital phones, such as M2000 sets, so I am betting they definitely have a roadmap for a 5000 plus user system. Good news! The familiar Nortel voice prompt voice “Meridian Mary” is now available on the UCx. All that needs to be done is a system update, please complete asap and you’ll hear that sweet familiar Meridian Mail voice! Its Mike from Sideline. I’ve been installing UCX solution for my customers.